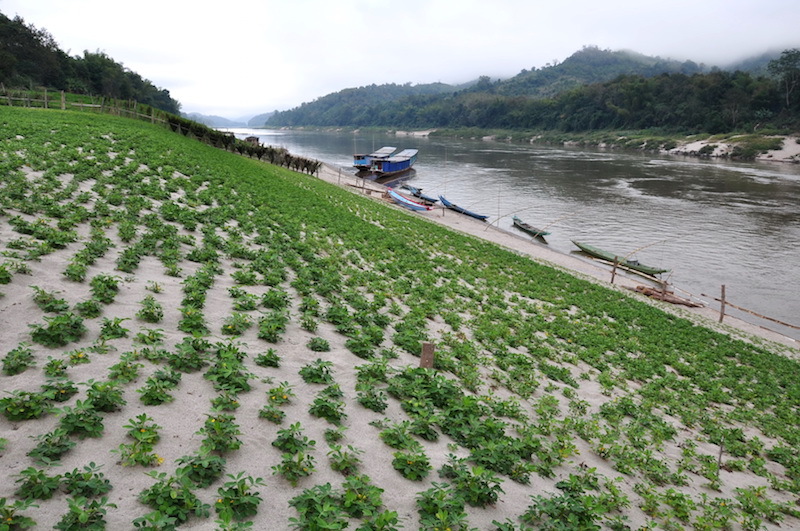 An environmental NGO has called for a halt to talks on the newest hydropower dam on the Mekong River until new research on its potential environmental effects is carried out. The Pak Beng dam in northern Laos, slated to produce a massive 912 megawatts of electricity, has been under consultation before the Mekong River Commission since February. The commission has previously said that it risks damaging aquatic habitats and the livelihoods of people in the Lower Mekong Basin. A statement released by U.S.-based NGO International Rivers on Monday said that research into the dam’s potential impacts and measures to mitigate them had been provided by the Laotian government and the dam’s developer, but it did not contain enough information for stakeholders to provide meaningful input. Maureen Harris, the organization’s Southeast Asia program director, said in an email yesterday that the government and the developer, China Datang Overseas Investment Company, should undertake new studies straight away and postpone discussions. “In our view it is not sufficient for the project developer to acknowledge limitations of the assessments and commit to further studies to be undertaken at a later stage,” she said. Under the 1995 Mekong Agreement, other Mekong governments are entitled to request postponement for further studies, Ms. Harris said. The Mekong River Commission, however, said the discussions had not been hindered despite the “imperfect” information. “[W]hile information was imperfect, we believe the consultation was the platform for stakeholders to raise their concerns,” a secretariat representative said yesterday in an email, adding that the Laotian government had provided clarifications and additional information during consultations. Eang Sophalleth, spokesman for Cambodia’s Environment Ministry, said he was unaware of the NGO’s statement and declined to comment before reading it. He could not be reached again yesterday. A delegation of the Committee for Overseas Vietnamese Affairs of Ho Chi Minh City provided free health checks and medicines along with gifts to needy people in the Cambodian province of Battambang on April 25.